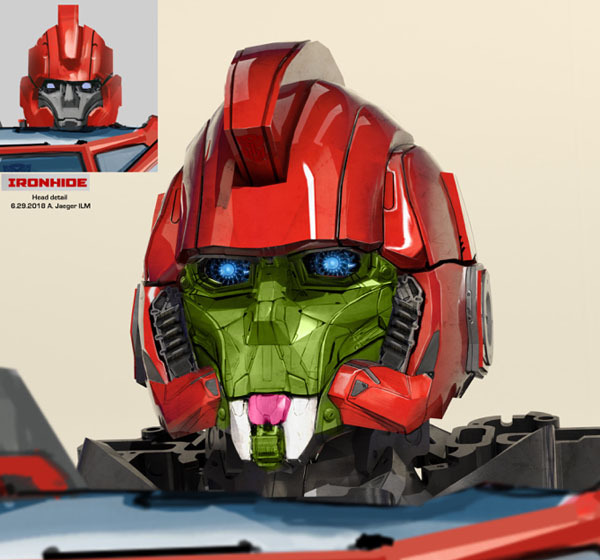 God, Ironhide's face is uglier than anything from the Bay movies. I actually don't have a problem with Ironhide's face. (Maybe that's not surprising, since I think the movie TFs have fantastic faces that aren't just magical metal human faces - well, weren't originally, anyway.) It's a little cartoony, but it has character and isn't just a human face painted silver or whatever that atrocity Arcee has is. I do have a problem with his crapped-out body, but I've pretty much done my bit on that enough for even me to be sick of it. There's a snake in mah Bot. I wasss onccce a maaan. My favorite thing about these is how much Bumblebee looks like Jake. Does this series have a formal name? Comicbookmovie.com has an interview with Jason Drucker (Otis) about his time on the film, working with Hailee Steinfeld and what he'd like to see in a sequel. Check it out. Its on the front page too. Edited by GodSentinelOmega, 04 April 2019 - 10:48 AM. Ironhide's face is actualy bad in a very specific way that makes me wonder if the artist that did the in-detail pass on the head saw the early sketch on the upper left and didn't realize the original picture has part of his chin being covered by his chest armor, leading to him really honest to god thinking that he was supposed to give Ironhide a super-low mouth with little to zero jaw-mass. Ironhide and Arcee's faces... doesn't really bug me? We live in a world where AoE Drift's face exists and you basically can't get worse than that, especially when it's moving. Edited by Sabrblade, 04 April 2019 - 12:11 PM. Watched this on 4K. My first viewing since it was in the theaters. Definitely liked it more a second time. Not that I didn't like it the first time, just more now. Cena in the outtakes is pretty great. Edited by tec, 07 April 2019 - 07:11 PM. I've been to 6 different Walmart, Meijer, and Target stores this past weekend and all of them were sold out of the 4K copy. However, seeing the news on the front page about the digital download of the original 1986 movie when you buy Bumblebee in 4K, I'm glad I've waited until now. That's a nice little bonus to get. Be wary. There is a little confusion on whether they mean TFTM or the 2007 Bayverse film when they say the Original Transformers. Dang Gen Z not knowing their TF history! The package said to look for a code on your receipt, but mine was codeless. Curious if I bought mine too early for this promo to be in their system yet. Technically, the 2007 one was the original "Transformers" film, while the 1986 one was "The Transformers: The Movie". Edited by Sabrblade, 09 April 2019 - 11:10 AM. I finally saw this movie last night, and it was awesome! It definitely is the best Transformers movie since 1986!